Virgin Galactic test centre in the Mojave Desert, California and at its astounding operational New Mexico base, Spaceport America. allows you to open the doors, operate the indicators or turn on the headlamps simply by moving your hand, while Laser Referencing projects visible markings, symbols and imagery onto the ground to aid low speed or tricky manoeuvres. engineering and mathematics and together see the huge potential to develop this partnership to inspire others and motivate more young people to pursue careers in these vitally important fields. and revolutionary supersonic passenger airliner, the Concorde. I want to be an astronaut when I grow up! “What do you want to be when you grow up?” I’m not sure why adults ask kids this question. I do know I often had to provide an answer. My most frequent answer was “a teacher” with an occasional “lawyer” or “interpreter” thrown in. Looking back on my life I fulfilled the prediction of becoming a teacher and enjoyed it immensely. From that beginning, my work career was a journey of twists and turns that led me to my true passion, the world of travel and helping others experience our world. There’s still one experience I want to add to my CV, traveling into Space, and I’m hot on the trail of achieving this goal! Many of you know I represent Sir Richard Branson’s company, Virgin Galactic, and am an Accredited Space Agent. I can help you reserve a seat aboard one of Virgin Galactic’s sub-orbital Space flights, which Sir Richard predicts will begin in 2014. I’ve seen the mother ship and in 2009 I witnessed the unveiling of the spaceship in Mojave, California, along with 800 other guests from around the world. Last year Michael and I toured Spaceport America, a magnificent and Earth-friendly structure in New Mexico. Originally, I applied to become an ASA (Accredited Space Agent—don’t you love when I talk Virgin Galactic-ese?) because my brother loves all things Space. Let me elaborate a bit. I asked the Director of Astronaut Relations what were the physical requirements of the passengers, the future astronauts. My brother lives with Parkinson’s Disease and I wanted to know if he could experience Space aboard Virgin Galactic. That conversation sparked my interest in learning more about VG and the more I learned, the more I wanted to be able to sell their space flights. So, when I had the opportunity to apply to become an ASA, I jumped at the opportunity. I’ve proudly represented Virgin Galactic since 2007. Why do I want to experience Space? I’ve read about and heard astronauts speak about a change that happens within them, a philosophical shift, a feeling of connectedness, of all of us on this planet being on “Spaceship Earth.” When Virgin Galactic’s ship is 67 miles above Earth and passengers can see that thin blue line that separates our planet’s atmosphere from Space, they will experience that moment, that “a-ha” of the necessity of us passengers aboard Spaceship Earth to work together to survive and thrive. Whoop! Whoop! Virgin Galactic does it AGAIN! 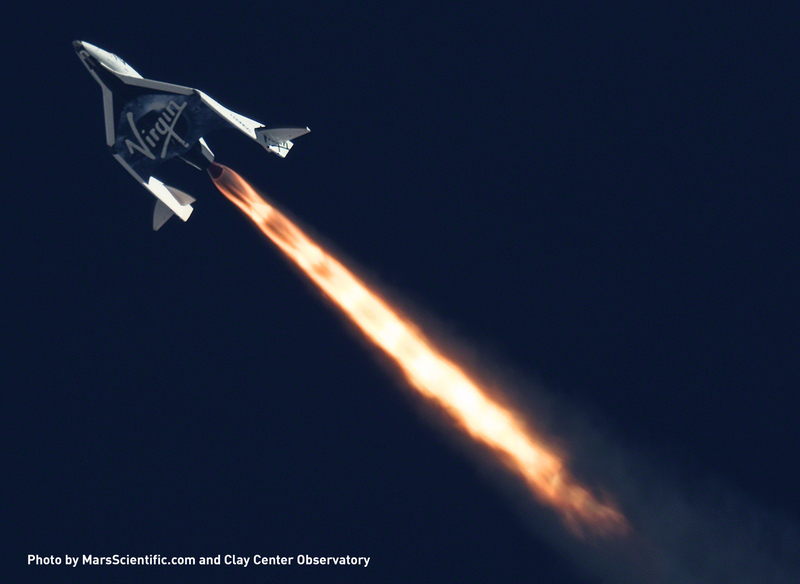 Here’s the video of Virgin Galactic’s 2nd successful rocket powered test flight! Watch! Sigh! Repeat! Ready to reserve a seat aboard Virgin Galactic and fly into Space? I can help you with that! Contact me, *protected email*. Astronauts tips: how to wash your hair in space! 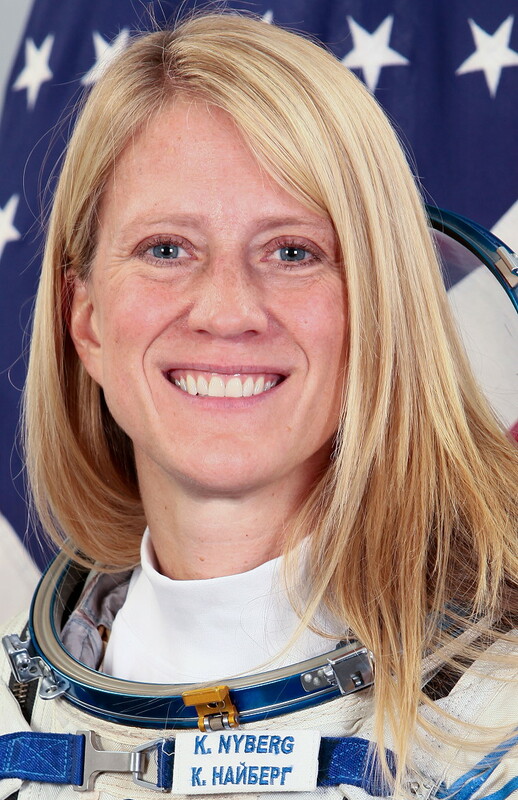 Karen Nyberg,one of the astronauts aboard the International Space station demonstrates how she keeps her hair neat and clean in zero gravity. Think of how different your daily routine would be without gravity—eating, sleeping, brushing your teeth, playing a game….the list is unending! Hope you enjoy watching Monday’s “who knew?” When you fly aboard Virgin Galactic, the flight is two hours long so learning to wash your locks is a non-issue :-). What I learned from Wiley Post…who??? I became interested in a guy recently—not romantically, of course! I am hopelessly in love with Michael, my husband! Anyway, I read about the guy and discovered I perhaps made an unwise choice to admire him. Here’s a synopsis of what I learned about him: he was an indfferent student who left school after the 7th grade; he was paroled from a reformatory after serving 14 months of a 10 year sentence for car jacking; he was unable to raise money for his business, a flight school, because of his rural background and limited education. Who is the guy? Doesn’t he sound like a loser? As the stereotypical Jewish mom would ask, “So, where did he go to school? Is he a doctor? A lawyer? Jewish? Well, Mom, the answer to the above questions is none of the above. Imagine if I had accidentally mentioned he was an ex-con! The guy is Wiley Post. (http://en.wikipedia.org/wiki/Wiley_Post) . In 1931 Post set a record of being the first person to fly a fixed-wing plane around the world in 8 days and 15 hours and 51 minutes. I saw how long it took him and was startled until I realized his flight occurred only 82 years ago! Wow! How quickly we forget how far we’ve come in less than a 100 years! I bet Willard Scott has wished a happy 100th birthday to several people who could vividly recall life before consumer air travel! All the exclamation points I’m using indicate how amazed I am at the speed of inventions, of technology, of the changes that have occurred since the introduction of the computer, the Internet, social media, and mobile phones that have more information stored in them than the computers used to send men into space! Speaking of Space, you may recall that I am an Accredited Space Agent, able to help you reserve a seat aboard Sir Richard Branson’s Virgin Galactic’s sub-orbital space flights (How could you forget? I feel like I’m constantly talking about it J ). Today I was on a conference call with other ASAs (don’t you love my space-talk acronyms?) and we were briefed on the progress of the test flights, the finish details of Spaceport America, located in New Mexico, and the special event in September that will be held for the future astronauts (over 615 people have reserved flights on Virgin Galactic’s spaceship, including one of my clients). People have asked me when the flight tests will end and the consumer space flights begin. I feel like if I give an exact date, some of the doubters would find me more credible. Yet, today I had the opportunity to experience the reverse skepticism—it took Wiley Post how long to fly around the world? I hear the talking heads on TV preface a date in the first 10 years of this millennium with the preface of “back in 2010” or “back when Pinterest first started”. Many people don’t even know what Pinterest is! How about those prehistoric days in 2007 when American Idol first premiered? Maybe this blog post makes me sound like a grumpy old lady (definitely not grumpyJ) and yet I am thrilled to be part of the next frontier in consumer travel, flights into Space. So, doubters of technology like 3-D printers, Google Glass, or Virgin Galactic, remember, the Wright Brothers and Wiley post had their skeptics, too. Now, we can’t imagine life without airplanes. Life really does move a warp speed, doesn’t it?